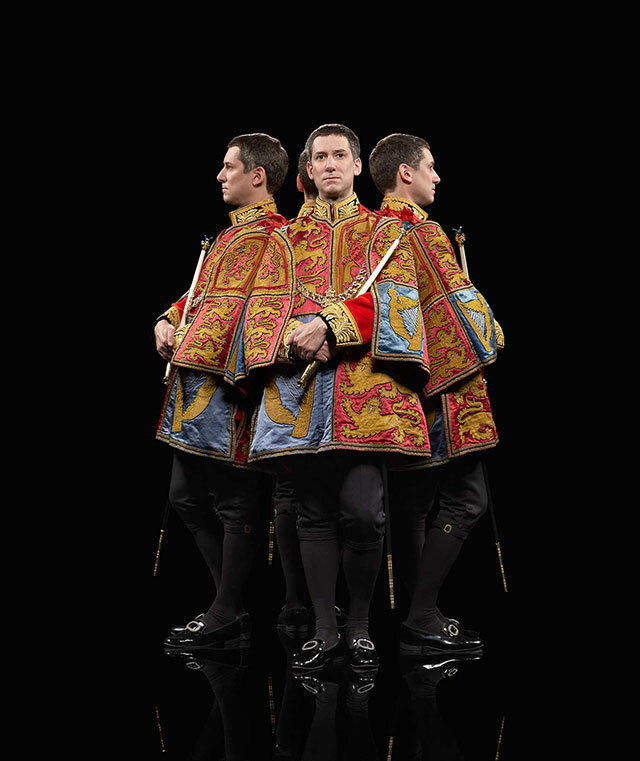 An exhibition called ‘The Queen’s People’ will open this month in London. 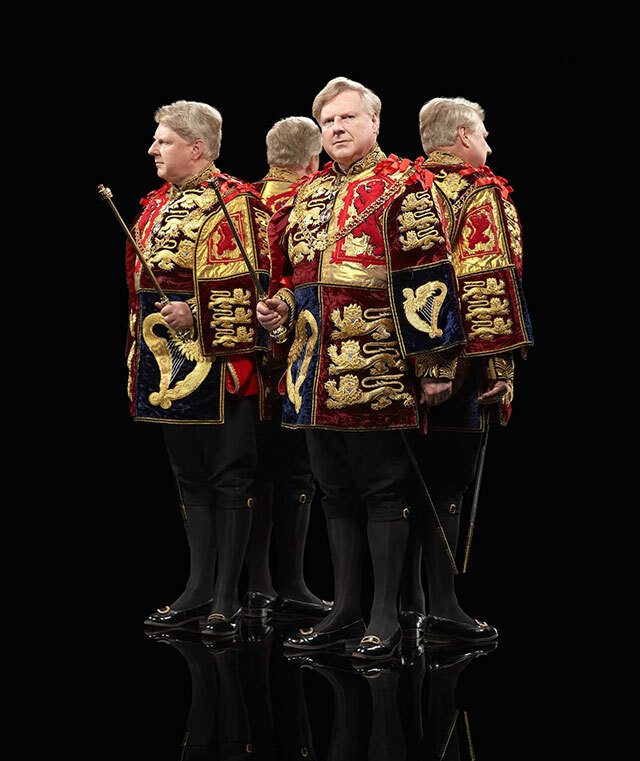 It is an exhibition of photographs of members of the royal household and staff in their traditional uniforms. Among them are the portraits of two of the heraldic officers of England, Wales and Northern Ireland – Thomas Woodcock, CVO, Garter Principal King of Arms and Peter O’Donoghue, Esq., York Herald of Arms Ordinary.